Find out where to Raise Your Anchor in San Francisco! Check out our special updates and unique ideas to make sure you have an Anchor brew in hand while enjoying the game on Sunday, February 7. 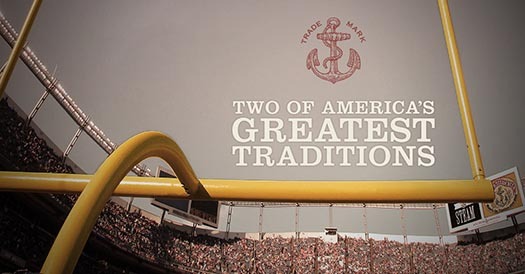 San Francisco is opening its arms to sports fans worldwide January 30th to February 7th. We’re proud to be SF-made and SF-owned, so it felt natural for us to do the same. 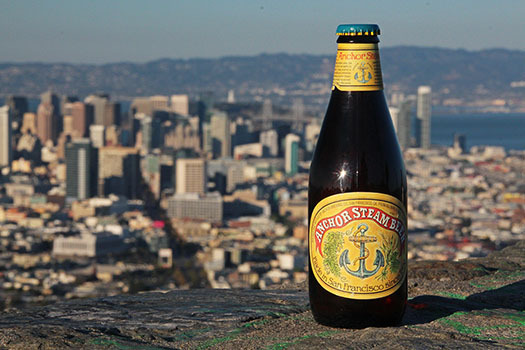 We hope you can make it to the brewery during your visit to the city by the bay and enjoy San Francisco’s original beer, Anchor Steam®. 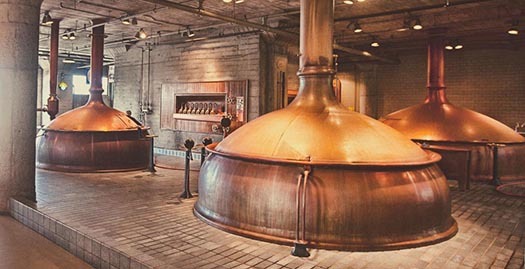 In addition to our regularly scheduled tours Monday-Friday at 10am and 1pm, and Saturday and Sunday at 11am and 2pm (see regular tour tickets), we’ll also be opening our doors to the public for special self-guided brewery tours on February 1st-4th from 4pm-9pm. Get information about tickets for these self-guided tours by clicking here. If you’re planning to be in San Francisco for the Big Game, whether you have tickets or just want to experience everything that comes with championship week in a host city, we’ve got you covered. 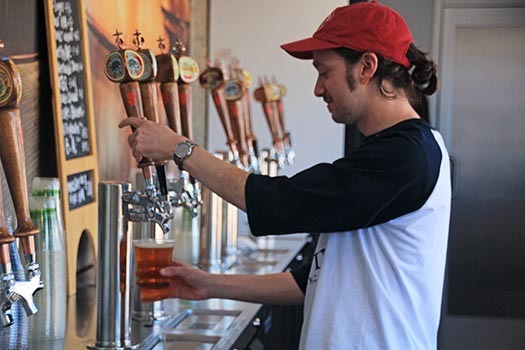 You can use our beer finder to find the nearest Anchor brew anywhere in the City. Or, you can put on your walkin’ shoes (remember, SF is synonymous with hills) and cruise to one of these fine establishments in close proximity to downtown San Francisco. Special promotions will be running all week and the Anchor brews will be flowing. On Saturday, February 6, legendary rock band Metallica will be preforming live at AT&T Park. While the show will certainly be a tough ticket, we’ve got a nice option for you: saunter up to the Anchor Beer Garden at The Yard. Why? 1. 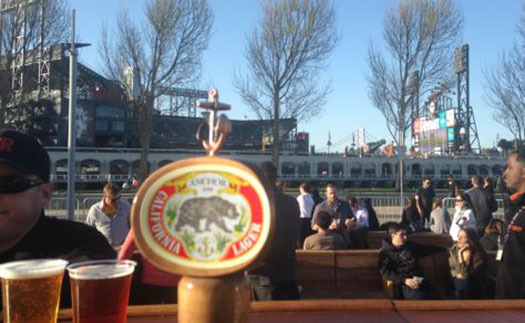 Our outdoor beer garden is conveniently located directly across the street from the venue, so Metallica’s unmistakable sound should have no trouble making its way across McCovey Cove. 2. At least a dozen Anchor brews on draught. Grab a brew, find a comfortable spot under the tent with TV’s all around you, and enjoy the show. 3rd St & Terry A Francois Blvd, San Francisco, California 94158. Did you know the Anchor Beer Garden as a new winter tent cover? Enjoy the full beer garden experience, including Anchor brews on draught and the Big Game on multiple TVs, without worrying about the elements. Quality brews + good food + plenty of TVs = a super Sunday in San Francisco. The game day watch party countdown has begun. Follow the Anchor Beer Garden on Facebook or Instagram for upcoming details. We’ll hope to see you in SF as we get ready for the Big Game. Share your experiences with us by tagging photos of Anchor brews and events with @AnchorBrewing on Instagram or Twitter, and we’ll share our favorites throughout the week!